On 13th July 2005 a Forum was held with the participation of the General Manager of Metro Co, Mr Mohsen Hashemi; the Managing Director of the Railway of the Islamic Republic of Iran, Mr Saidnejad; the Managing Director of Reja Railway, Mr Aghai; and the Managing Director of Iran Khodro, Mr Manteghi; as well as a number of other authorities. Mr Hashemi, the first speaker, gave an account of the Tehran Metro (Subway) system and its growth. He also discussed the plans for creating Metro systems in other metropolises of Iran. He emphasized the need to develop the Metro system to reduce traffic and pollution but admitted that due to certain problems the growth rate was low. The next speaker was the Managing Director of the Railway of the Islamic Republic who discussed the importance of the Iranian railway system to the world, as a part of the Silk Road, connecting the East to the West, and the safest mode of transportation and the important role it can play in the country's economy. He also laid great emphasis on the privatization and liberalization of the Iranian railway system, as a means of achieving competition to the benefit of the consumer. Mr Aghai, the Managing Director of Raja, considered that there were five factors in the development of the passenger railway system: access, comfort, safety, speed and cost. He maintained that the service provided to passengers in Iran at present is quite adequate but the rail system including the wagons and locomotives are too old. He pointed out also that the cost of traveling by train is quite low in Iran. 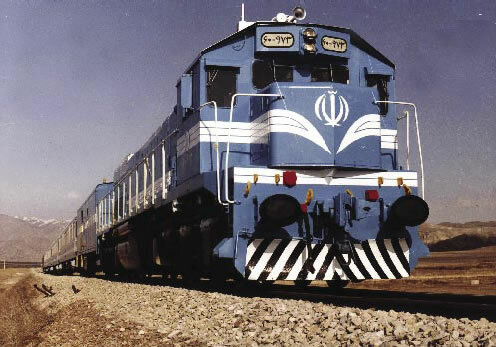 Railway: the environmentally friendly transportation system From what has been said in the Forum and from our investigations it seems that Iran needs to expand its railway as an important element in its socio-economic development plan. It appears that the only solution for a rapid development of the railway system is to liberalize it. Although in some countries the railway is owned and controlled by the state quite successfully, in the best condition as in the USA, for example, the railway system runs even more successfully because it is privately owned.